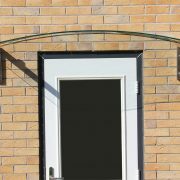 The beautiful curved lines of the Contour door canopy create an elegant arched roofline which is equally at home in a modern or traditional home entrance. 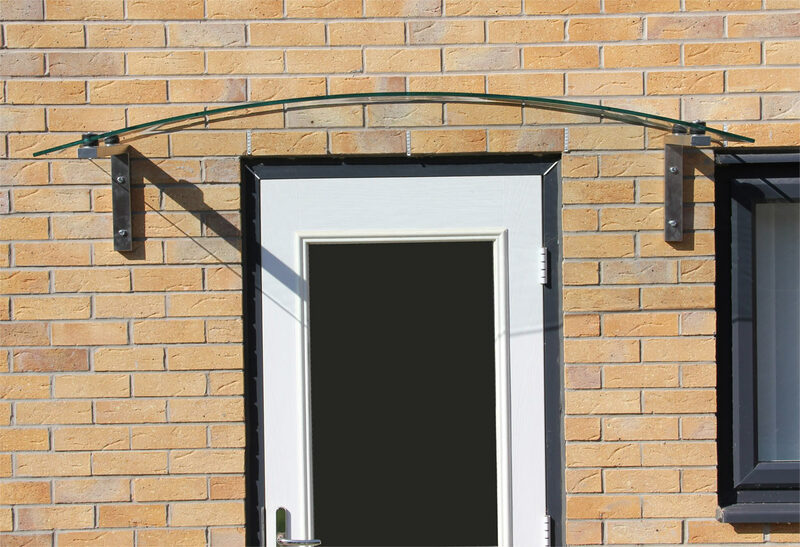 The stainless steel gallows brackets give maximum support whilst keeping a neat appearance. 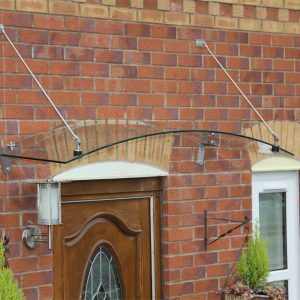 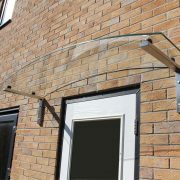 An elegant curved over door canopy with stainless steel gallows brackets for support. 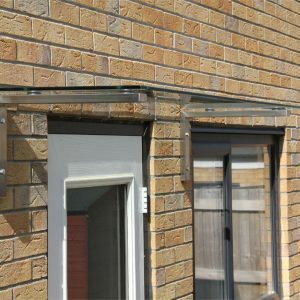 Glazed with a 10mm toughened curved glass panel with polished edges. 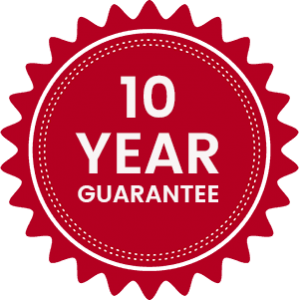 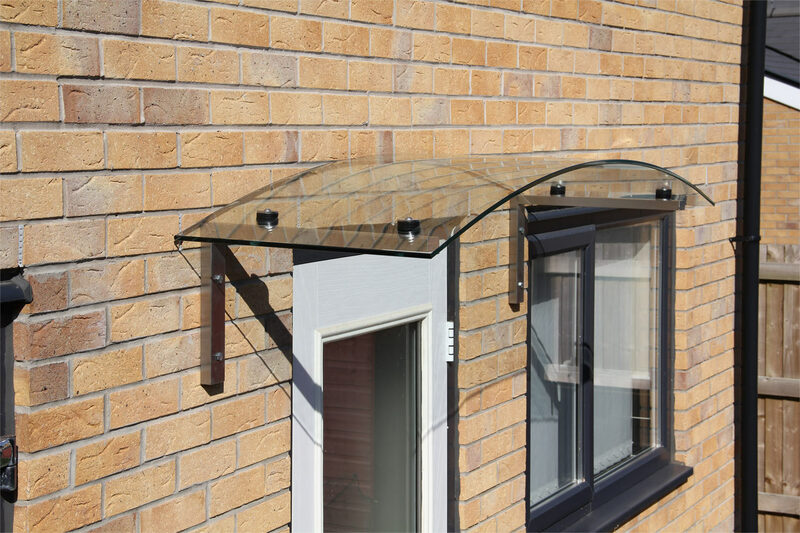 For more information on our Contour Over Door Canopy please call us on 01536 446393. 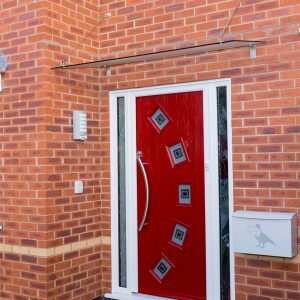 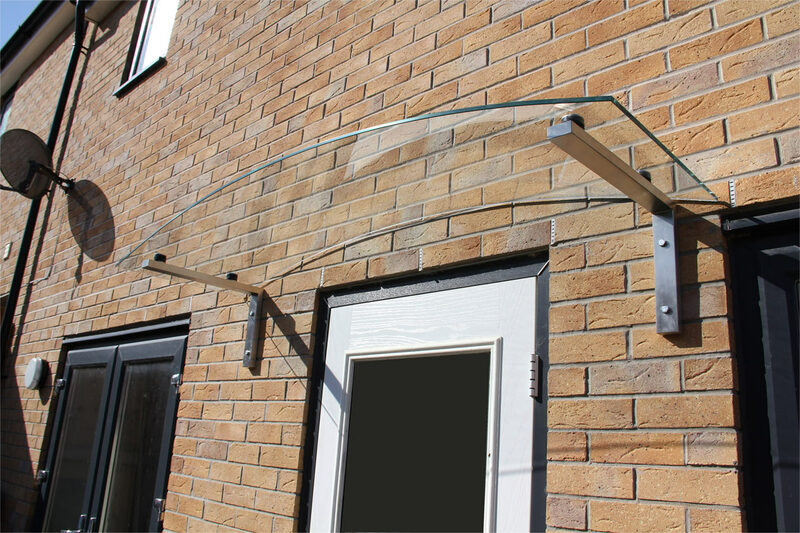 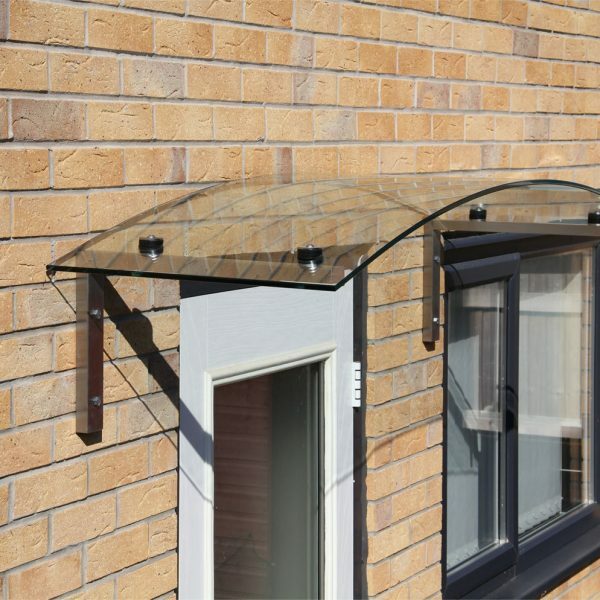 Click here to download our The Contour Overdoor Glass Canopy Sizes and Specifications.